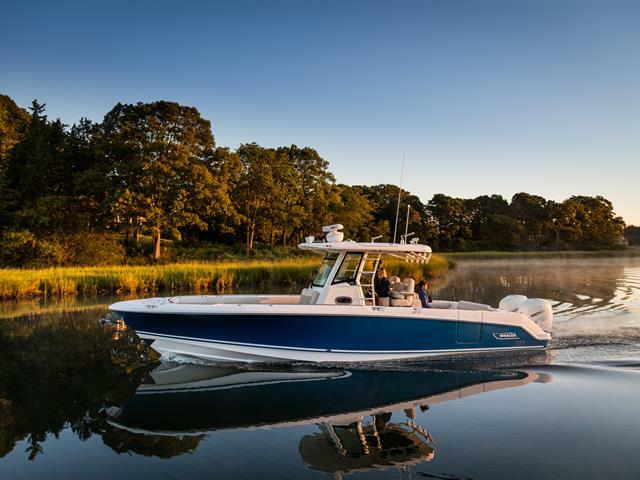 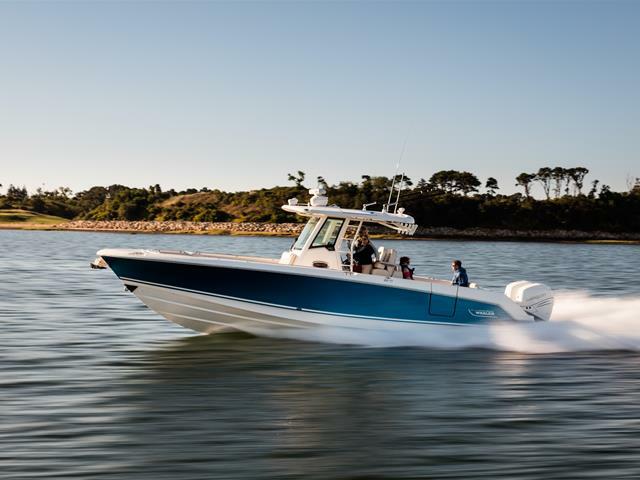 Meet Boston Whaler’s newest offshore performer: the 330 Outrage. 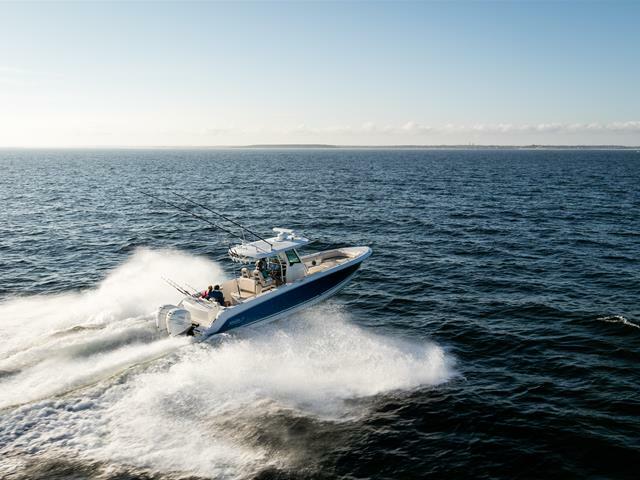 With its precision-engineered deep-V hull, high padded gunnels and unsinkable Unibond construction, the 330 delivers an incredibly soft, safe, dry ride, whether you’re venturing far from shore or cruising close to home. 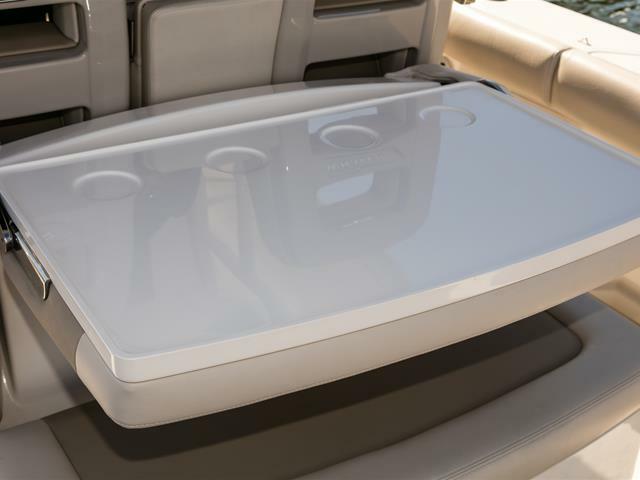 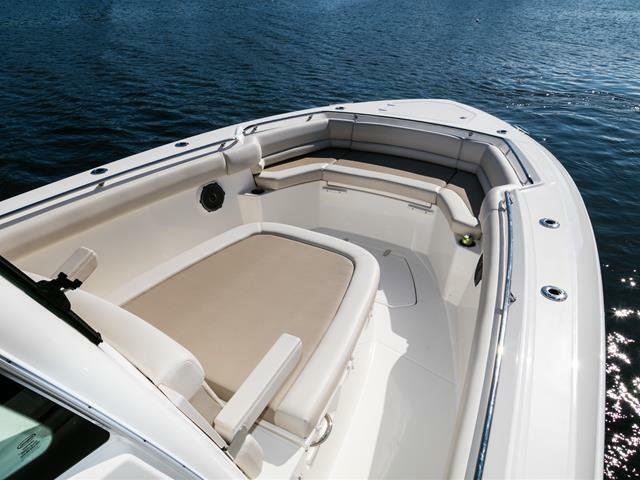 State-of-the-art navigation and command systems make captaining a breeze, while smart ergonomic seating ensures an enjoyable ride for every passenger. 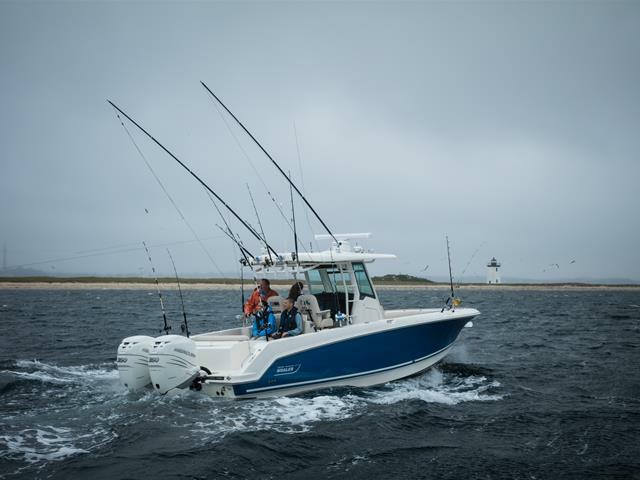 The 330 Outrage is a social charmer as well, with an array of features and options designed to facilitate entertaining. 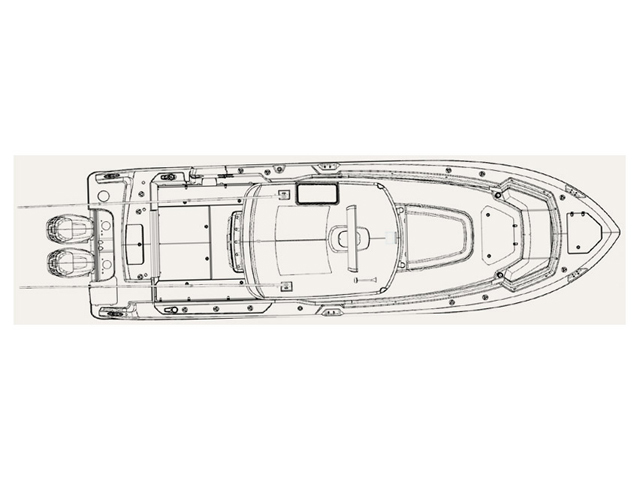 In the bow, a plush forward lounge lifts to reveal cavernous storage below while the facing bow seats invite easy conversation. 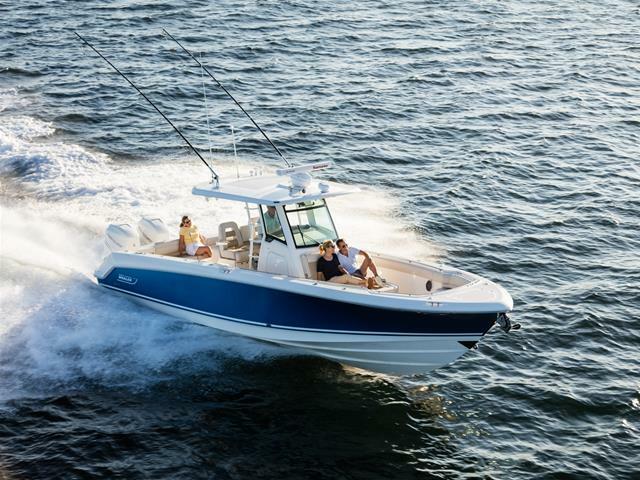 Experience confidence to the core with the new 330 Outrage.